There are some of us who get in the gym at 6am or after work three or four times a week without the need for someone offering support or motivation. Then there are the rest of us. If you’re like me, you’ll literally need to be dragged feet first from bed if you’re going for a workout. 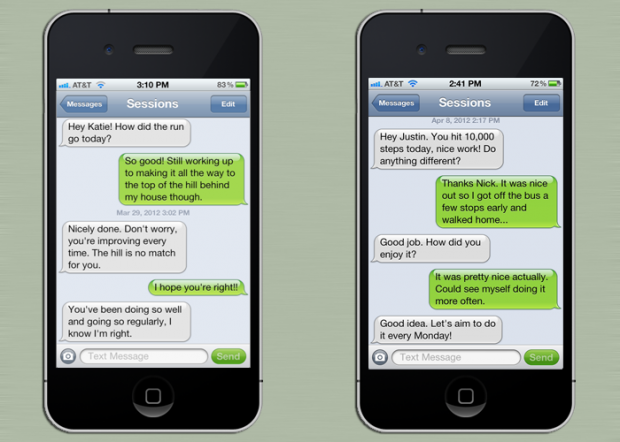 Enter Sessions, a web and mobile startup that pairs users with a real-life health coach. Unlike other exercise and health apps, Sessions creates a personal relationship between the user and their coach, helping to keep a close eye on their progress and providing feedback. Once paired, the health coach assists in sculpting a personalised plans to fit the schedule and goals of each user. Each week, new goals are set and progress is tracked via the app and online. 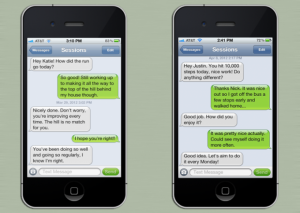 Sessions’ system stores data on an accessible dashboard and relies heavily on communication between coach and user, primarily via email and SMS. Another plus is the integration with other health and fitness apps such as Runkeeper, Fitbit, and Foursquare extending the range of its functions. Sessions is currently operating in private beta, with accounts costing $29.95 per month. Seems expensive but compare that with a personal trainer who plays a similar role, and it could be a far cheaper alternative. In terms of negatives, we’re finding it hard to see any. Sessions takes the idea of a fitness app to a new level, offering human interaction, which will automatically mean it will be really effective for lots of people. Proof’s in the pudding though – will you be getting a response from your health coach ASAP? If you’re waiting a few hours, the benefit may be lost. As we know, this is a fiercely competitive market. The beta phase will be one to a keep an eye on for sure.